The late Barney Fife and his brother, Matt, went traveling through North Carolina to visit Mrs. Loposay and then go to the Fork Farm, to see Mr. Grady Cummings. Upon arrival to Mrs. Loposay’s, they were able to see the great producer Buster, who made an attempt to bite both of them. 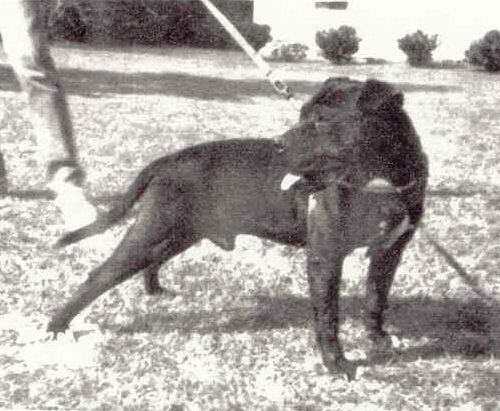 From there they drove to Red Springs, to the home of G. Cummings, who had a yard of Eli bred dogs. 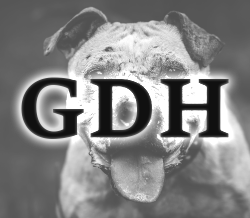 Grady was a talkative and personable individual, who would recite the pedigrees of each dog on his yard as he passed them. Grady never officially matched a dog. He would purchase match dogs and breed them to his stock. His claim for not matching his dogs was that if they came from a line of match dogs, then they should be able to produce match dogs themselves. But, to his credit, he did put some of his dogs in capable hands to be matched. While Barney Fife and Matt was there, they had the fortune of seeing a short roll involving a red male named Eli, III. Some notable dogs from Cummings yard were Ch. Tom (who produced the great Saloon dog, who in turn produced the double Gr. Ch. Tornado), Annie Oakley (out of Mosely’s Smeller), Dear Abbey (out of Eli, Jr. and Clemmon’s Sandy), Red Fox, Dutch Boy and Young Dutch Boy to name a few. The three then traveled to Jim Williams’ home to see the two new acquisitions just purchased from Maurice Carver. They were two yearlings, one red and the other black. The black was named Paladin. Paladin was rolled, during his schooling, in a field of tall grass and was separated from his opponent. He was then walked 50 yards away to see if he would scratch. When released he mowed the grass down, streaking towards his opponent, proving his desire to continue. Paladin was sired by Hyde’s Satchmo Bully out of Rorex’ Black Lady. This is blood closely related to Gr. Ch. Art and Crenshaw’s Ch. Hurt, who were both out of Java, a daughter of Black Lady. Black Lady went back to the blood of Ed. 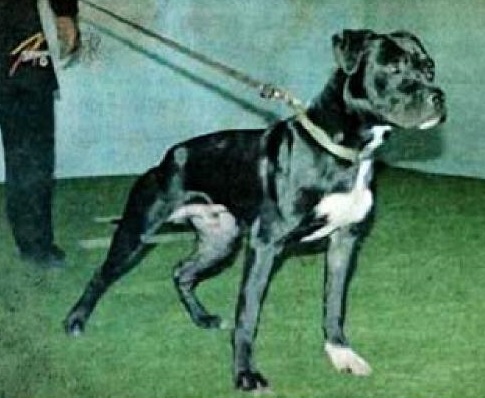 Crenshaw’s Reno, which accounted for his black color and finishing instinct. Paladin who his first match in close to two hours. The length of time was mainly due to Paladin staying in hold on a down dog, making a handle impossible. Paladin’s second match was into Big Boy, who gave a good account for himself in a losing effort against Ch. Rascal. Big Boy was an uncle to Gr. Ch. Zebo, from a line of dogs noted for their ability. 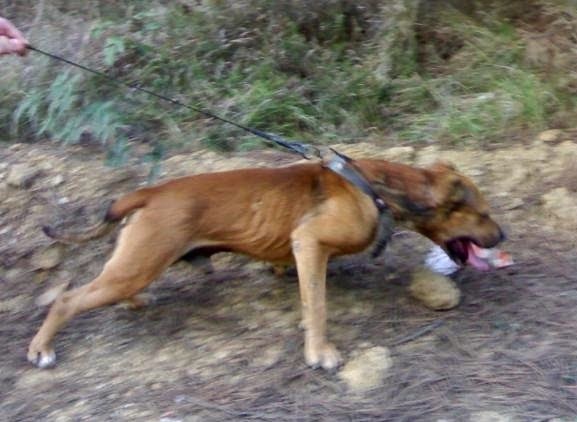 The dogs were released on a freezing morning with Paladin doing the driving, while Big Boy rode the head in defense. However, Paladin was applying too much pressure and was soon overwhelming Big Boy. Handles became difficult, since Paladin very rarely came out of hold. By :48 a handle was made and Big Boy declined to scratch. Paladin went on to win his championship with a win over his nephew, also from the yard of Carver. After a tough 30 minutes, Paladin was in control and Maurice told the handler to pick up the other dog and concede the match. 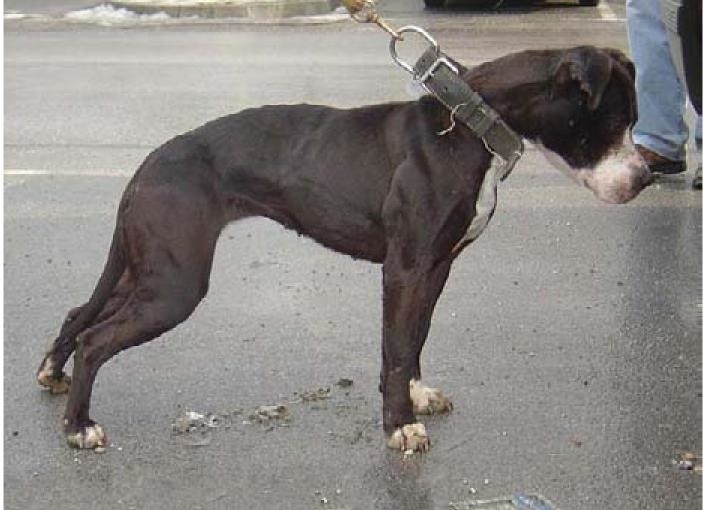 Paladin’s ability to produce can be found in dogs like Quincy, Ch. Wild Thing, Hanna, Monster Man, Ch. Tyrone, Ch. Trackdown, Ch. Stephano, Gr. Ch. Cheif, and many other winners.